FORT WAYNE, Ind. (WANE) – Bestselling Author, Jennifer E. Busch, joined First News Sunday on July 25, 2010 to address adrenal fatigue, a disease that 80% of the population suffers from and the basis for her more recent book, All in My Mind?. Busch started her career right out of high school at The American Chiropractor magazine. She worked up the ladder of the business from assistant to the publisher, to national marketing manager and finally to general manager. All in My Mind? has achieved bestseller status occupying the #1 position in the categories of Depression, Stress, and Stress Management on Amazon.com. The book spent several days in the Top 100 books, climbing to #12 and was listed as #1 on the Amazon.com Movers and Shakers list shortly after release. As of July 19, 2010, the World Health Organization (WHO) recognizes adrenal fatigue as a devastating syndrome and estimates indicate at least 80% of the population suffers its symptoms at some point in their lives. As one who has personally suffered the effects of adrenal fatigue, Jennifer Busch, relates the frustration at being dismissed by doctors and how devastating it can be. Jennifer married Dr. Richard E. Busch III, in 1996 and together they found and developed a leading chiropractic clinic that is now nationally recognized for a successful and non surgical treatment, the DRS Protocol, for sever disc conditions. She is also a national healthcare consultant. Jennifer credits her strong faith and will to survive for her success and though there are still occasional set backs, she is dedicated to overcoming adrenal fatigue and living the best life possible. To purchase a copy of All In My Mind? or to learn more about Jennifer Busch, click here. I am now a strong advocate of journaling. When I finally decided that I had to determine for myself what was affecting me –(a doctor cannot help you out on determining this type of information ) I broke down and wrote about everything I did, what I had eaten, and when and who I had been around each day. This doesn’t have to be demanding. Just create a list of categories and fill it in. It was amazing what I discovered. I could determine so many things that were setting me back and that a setback could happen within mere seconds. When I felt as if I were really under attack from within, both physically and emotionally, I would make note of these issues, events and foods in my journal. I then would review and see what had transpired in my recent days; what had I eaten, who had I been talking to, what events had upset me or even made me happy. Originally, I really didn’t believe it myself. So I did my Guess and Test theory. If I wanted to eat something with onions in it, I went ahead and ate it. 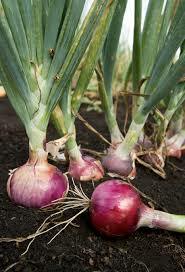 Then, when it repeatedly showed up in my journal that eating onions made me feel terrible, I realized they were a problem, and I purposely avoided eating onions. When I felt worse after being around a particular person, I wrote it down, and soon it was easy to determine that this person was someone I should avoid, or limit time with, until I was better. This isn’t as hard as you may think, especially, when you have had a continuous monitoring process to backup your suspicions. This doesn’t mean you are never around someone that is setting you back, but there are times that family members and friends can be unintentionally negative or even have toxic personalities, and perhaps they are even doubters that you have anything wrong. It is very difficult for someone suffering with adrenal fatigue, chronic fatigue and fibromyalgia to eliminate their own negative thoughts, let alone negative thoughts of others. It is vital to understand how negativity affects your behavior and your emotions. I want to share a letter from someone who recently read All In My Mind? I just want to thank you for your book. I really am so grateful to you for writing it and being able to have it …to refer to and learn from. I submitted a request on Oprah.com for someone I’d like to see her interiew. I really believe the contents of your book not only are helpful and informative, but it very well could save lives…I want to help people who are in pain and struggling…I can in some small way get the word and promote getting this book in people’s hands. God is good, and I’ll be praying for you. Thanks again!!! Respectfully – C.A.T. Adrenal Fatigue, chronic fatigue and fibromyalgia are conditions that share multiple symptoms. One major and debilitating symptom is unrelenting fatigue. If you suffer from chronic syndromes such as these, you must eat balanced and regular meals, and low levels in blood sugar can be improved by eating well and at more frequent intervals. I know this from experience. There was a time, prior to actually finding a concrete diagnosis of adrenal fatigue, that I just could not eat. I was so thin, exhausted, and nauseated when I accidently stumbled onto a doctor that recognized my symptoms as adrenal fatigue. I was in the final stages of adrenal fatigue which can be life threatening. I was told I had to eat! I prepared this soup in the mornings, because that was the time of the day I would actually feel strong enough to be up and about and in my kitchen without feeling as if I were going to pass out or experience severe nausea. I learned I must utilize these higher energy periods of each day. The following vegetable soup recipe has proved beneficial for adrenal support. This is a soup, called “Taz,” and comes from Dolores S. Downey’s “Balancing body chemistry with nutrition” seminars. I strongly recommend using organic broth and vegetables. Unfortunately, a majority of food today contains herbicides and pesticides which are used to produce the best looking fruit and vegetables possible. Pretty produce sells, but it is not as healthily as organic. Adrenal fatigue, chronic fatigue and fibromyalgia sufferers may be more sensitive to these contaminants. Combine ingredients and simmer for one hour until vegetables are tender. I recommend making Adrenal Recovery Soup each week and storing it in meal size, easy- to-use containers. The truth of the matter is when our blood sugar drops and we feel as if we are dying, the last thing we may be able to do is prepare a meal for ourselves. The Adrenal Recovery Soup helps balance the body and assures we are eating a meal that will not cause our bodies to breach our metabolic threshold. If you have an allergy or sensitivity to an ingredient such as onions – eliminate it. I had a high sensitivity to onions, for many years. In my recent book “All In My Mind”, I talk about the importance of journaling, so you will be able pinpoint the exact effects of foods and even the effects of other people and situations in your life. I will be on your side during your journey of adrenal fatigue, because this is a real syndrome. I want to teach you how to become better prepared for the times you may not feel you can go on. You can read more about my journey @ www.jenbusch.com, Soon I will be asking for you to share recipes that you have found to be beneficial for adrenal fatigue, chronic fatigue and fibromyalgia sufferers. My story could be your story, and to me it is a very sad story, and my heart goes out to any man or woman who is feeling the destruction of Adrenal Fatigue Syndrome. Adrenal Fatigue, Chronic Fatigue or Fibromyalgia – all of which can have an underlying adrenal weakness – have very similar symptoms, and they can be easily confused or misdiagnosed. I have created a comparative matrix of the symptoms of Adrenal fatigue, Chronic Fatigue and fibromyalgia, and if you like to have a free copy just go to my website www.jenbusch.com/readMore.htm to download. In the year 2000, I gave birth to my second child and her birth set off a storm within my body that turned my world upside down. The day I came home from the hospital with my baby girl I was very excited to cuddle her, have the time to bond and really get to know this new addition to my family. My happiness and joy were quickly overshadowed. I experienced overwhelming fatigue and an unsettling feeling that I was dying. The picture I still see in my mind will forever be with me. One week after giving birth, I just collapsed down on my kitchen floor. I was bawling and trying to tell my husband I felt like as if I were dying and something was drastically wrong. Unfortunately, my feelings of dying and unrelenting fatigue were dismissed as simple postpartum depression by my OB/GYN. I went for my normal follow-up visit, and he would barely even allow me to tell him all of my symptoms. Halfway through my talking to him, he interrupted and said, “Don’t you worry, it is common, and you will be over it soon.” I knew in my heart the diagnosis of postpartum depression was completely wrong. I had an inner knowing – intuitiveness – as so many of us who suffer from Adrenal Fatigue have, but at that time I had nothing to prove my knowing that this was a completely different kind problem. This was the start of my very long journey full of painful challenges to even get a diagnosis of Adrenal Fatigue Syndrome. Somewhere, deep inside myself I knew I had to keep looking and searching for answers, because not many others, in their professional capacities were. I felt dismissed and hopeless many times. I had to battle through the cut-and-dried opinions that were offered. Even though many periods, and I mean a long time, I was often in bed or lying on the floor or on a couch, I was still curious and was determined to find out why. Even though I felt entirely exhausted and unable to do much, I did read and research symptoms. When I found, what I considered to be a possible avenue of help, I would follow the hopeful lead. I have taken a thousand “first steps” on my long road to recovery, and many were counterproductive, but I had hope. And I want to give you hope. I will be on your side during your journey, because this is a real problem, and I believe you. Adrenal Fatigue is an equal opportunity destroyer, it does not matter who you are or how much money you have.